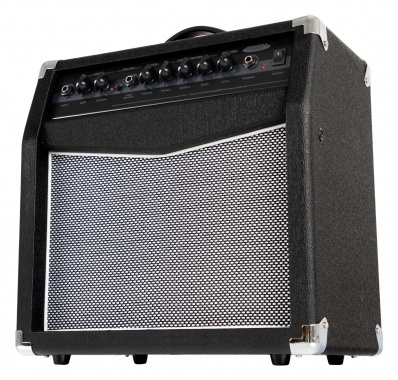 The SG200R guitar amp - Rockin' to an excelent price! This elegant guitar amp combo is the ideal practice combo, with its compact dimensions and outstanding design that makes a good impresion everywhere. It provides both a clean channel for the quieter sounds and a drive channel, the classic distortion effect. In addition, it features a real spring reverb. Real pro equipment for beginners price! Whether for a complete beginner or an experienced guru - you will find joy with this inexpensive amp! 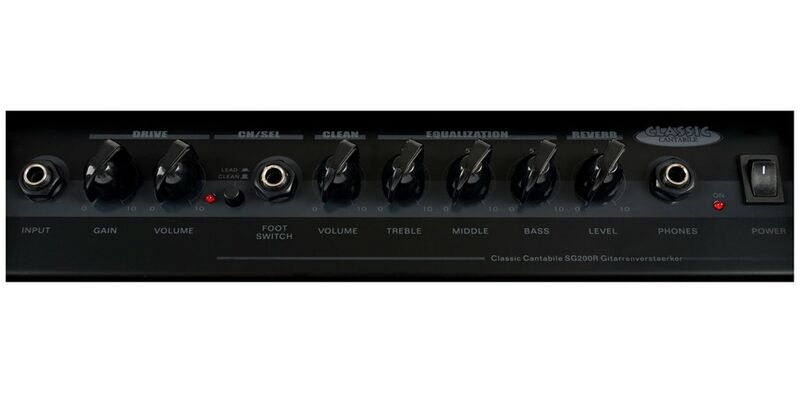 The SG200R provides a clear and concise console with beautiful vintage knobs. The 3-band equalizer is very effective and an integrated headphone jack offers the ability to practice undisturbed at any time day or night. The volume of the two channels (clean and drive) can be independently controlled and the desired degree of distortion can also be individually set! The selection of the channel is easily accessible via a small button on the front panel or optional foot pedal (not included). An adjustable reverb (original spring reverb) is also already integrated. This allows the depth setting in no time! 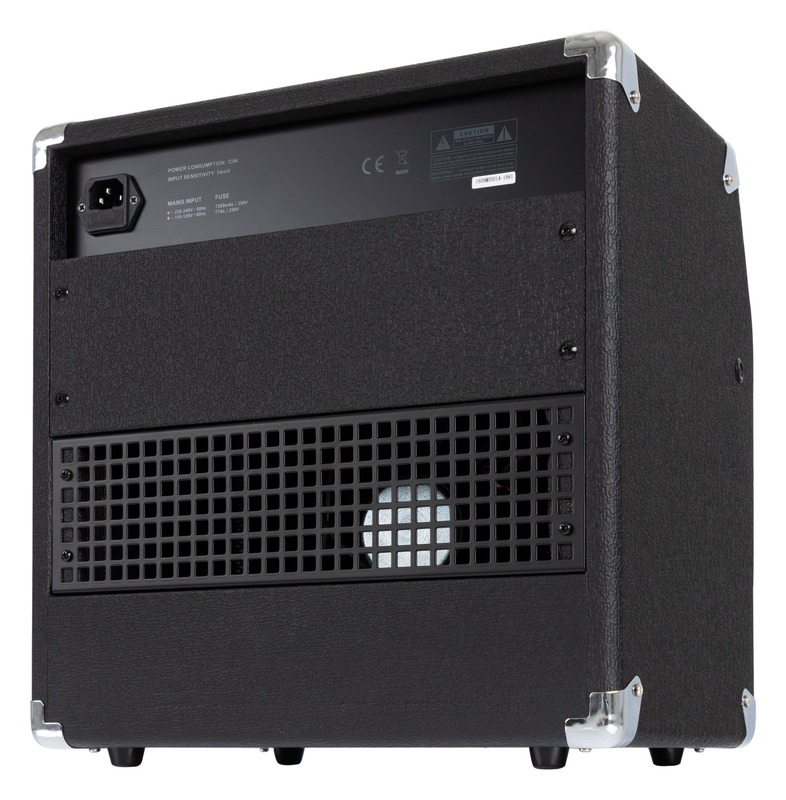 The beautiful enclosure is equipped with rugged metal corners for protection and a convenient carrying handle on the top. With its compact dimensions and low weight, the SG200R is an excellent partner for traveling. This small power dwarf brings provides sufficient volume in rehearsals or small sessions, with a rich sound that you would never expect from such a small combo. pour sa taille la puissance est impressionnante !! Les corrections sont efficaces et la reverb est un vrai plus. Les boutons de potentiomètres faisant un peu tristounet, je les ai remplacé par des boutons de couleurs. Diese Amp. ist mir wärmstens empfohlen worden, ich muss sagen mit recht. Ein Wermutstropfen ist, da diese Amp auch aus Fernost kommt, sonst kommt der Preis nicht zu stande, da scheint die Endkontrolle u.Quali noch zustimmen. Es gibt keinen besseren AMP unter 100 euro! Preiswerte Übungscombo mit einem Echo, wie ich es aus meinen Anfängen in den "Sechziger Jahren" kenne. Einfach Klasse. Ich bin überzeugt für ähnliche Qualität muß man sonst richtig Geld bezahlen.Empfehlung!!! 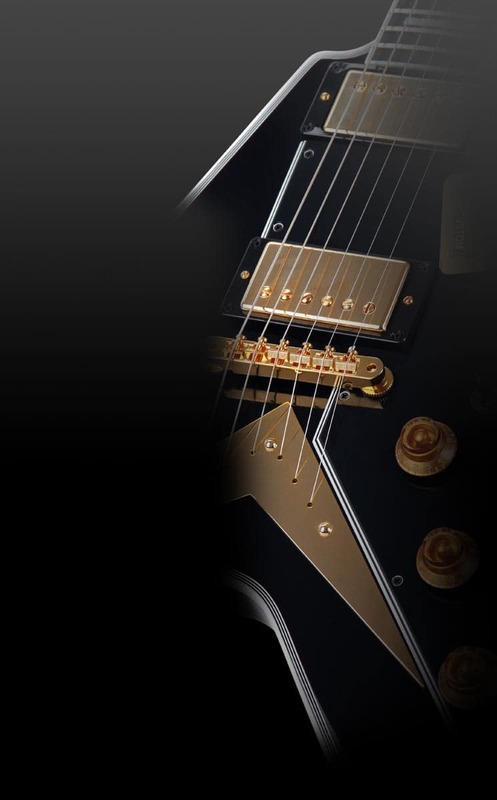 Diese E-Gitarre ist ein wahrer Traum! Ihr Sound ist von einer Ibanez nur schwer zu unterscheiden.